97 DEGREES. 111-DEGREE HEAT INDEX. Take it inside! 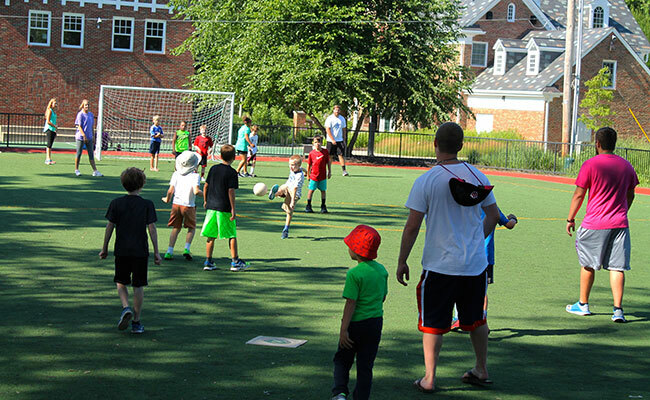 In the morning before the oppressive heat is in full force, soccer camp plays outside on Falcon Field. 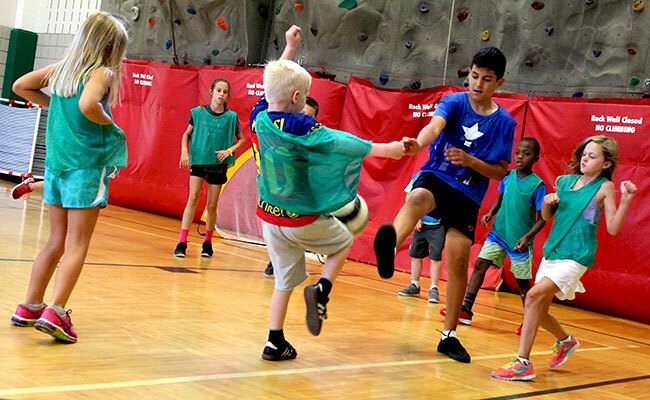 This week with triple-digit heat indexes, the gym is place for afternoon soccer drills and games. 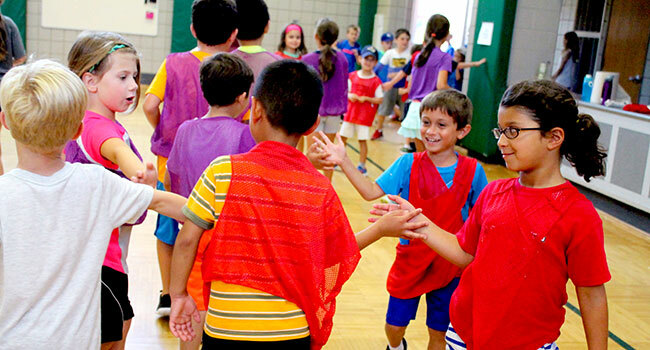 Good sports shake hands when the game is over. Designing in 3D on a computer is quite a challenge. 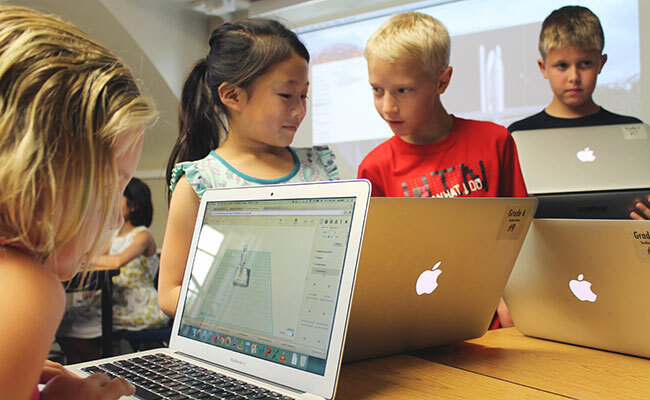 Campers designed 3-dimensional objects that were then rendered in plastic on a 3D printer. Math skills, technology and design are all at play here. One camper's design is in the process of rendering as the team watches. At left, is the final output. 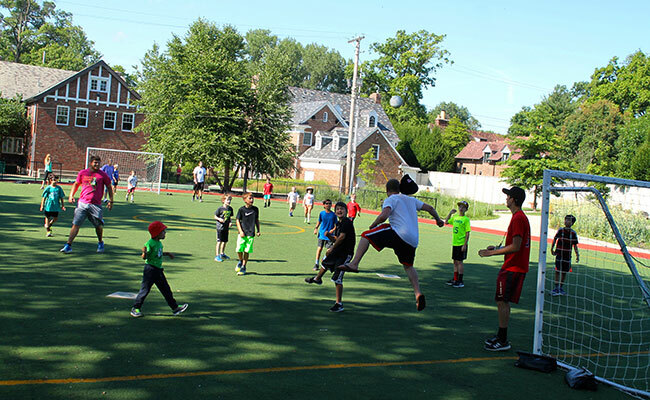 As you can see, campers were delighted to see the finished product. It takes a while for each object to build in the printer. 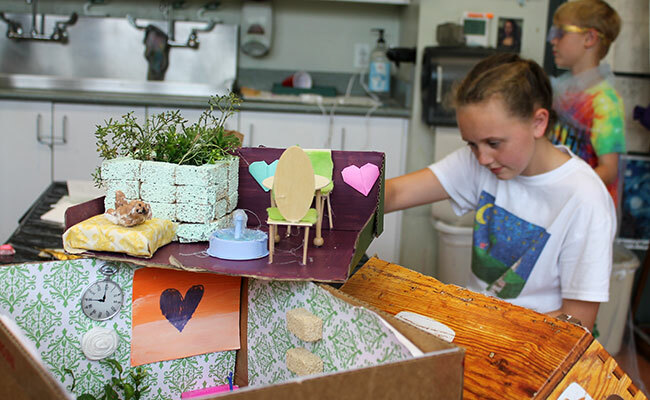 In the art studio next door, a team of campers worked with artist Carrie Becker to create dioramas of rooms. It all began with large piles of materials–scraps of fabrics, craft sticks, cardboard, beads, buttons and other found objects. Campers built many of the pieces in their small rooms. It was an exercise in planning, creating, making objects, building, painting and more. Ms. Becker was Forsyth's 2015 Nicholas Aaron Aitken Artist-in-Residence and dioramas are her niche as an artist. Not surprisingly, each of these small rooms reflected the artist's interests down to the last detail. They were very thoughtfully executed and quite beautiful. 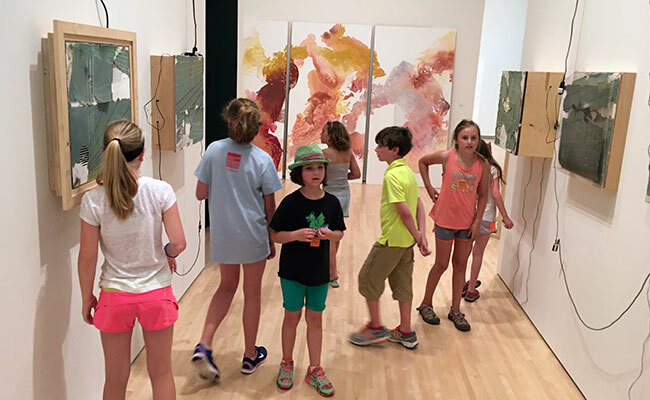 For an inspirational break, Ms. Becker took her campers across the street to the Kemper Museum at Washington University to look at art. 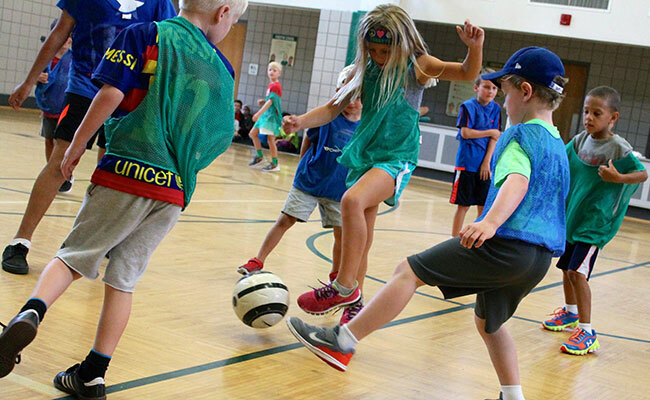 If you said an incredible headbutt in soccer, you are 50% correct. (Look how high that ball went!) 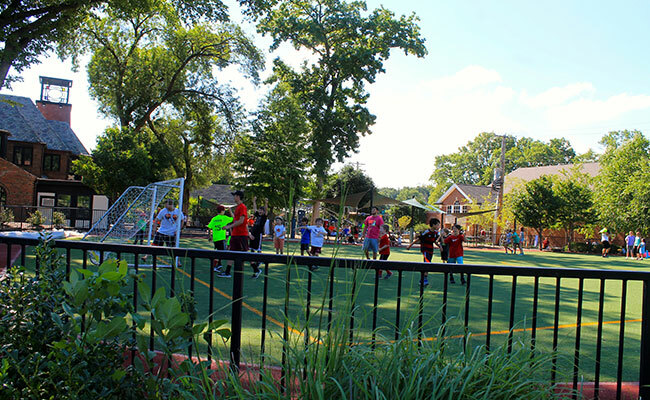 What you see in these photos is Summer Discovery counselors playing pick-up soccer with the kids. 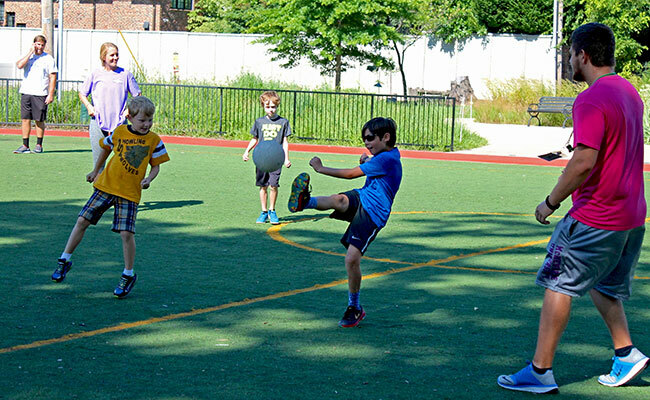 The counselors play with the kids all the time, and they play as hard as the kids do. 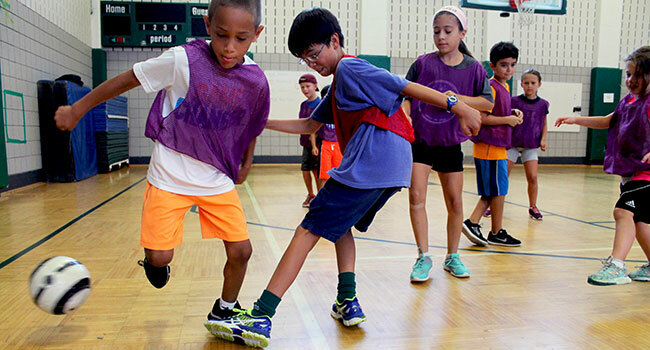 This spontaneous free-for-all soccer game had about 30 kids and 8 counselors on the field. Anyone could get in the game at any time. The kids love to hang with the counselors and visa versa. 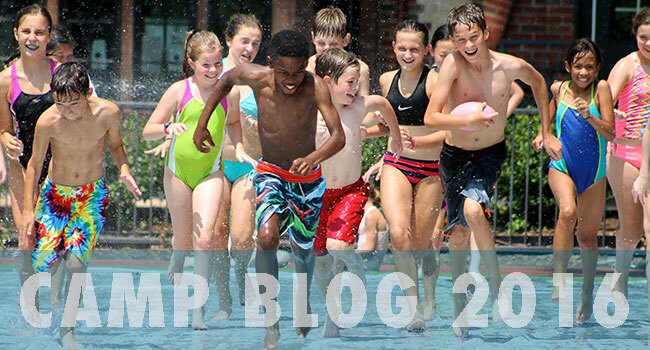 Great counselors are a big part of what kids love about Summer Discovery. 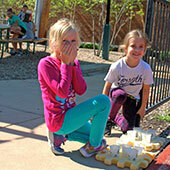 << These girls took the panels kids use to construct block-based structures outside and used them as trays for cups of water. They yelled to the soccer players on the field, "Time for a water break!" No takers.